Last Friday night, shortly after putting Caden to bed, Jennifer and I were taking care of our nightly “Post Caden” chores, working to the goal of completion so we could sit down and watch The Office on-line, when the power went out.Â It was not storming, but the wind was blowing pretty hard. After stumbling around looking for matches and a candle, Jennifer comes walking through the house with probably the best gift Angie and John have ever given us… a battery-less flashlight.Â I was thankful that she remembered where I put it and she said she was thankful that I remember to put it back after I use it last, ha!Â Funny that we got married, huh?Â If you don’t have one (or more) of these flashlights, they are well worth the money or they make a great gift! So once we got settled by candle light on the couch, we started watching an episode of Psych that was on my iPod. 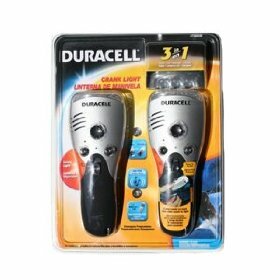 I couldn’t find that cheap pair of speakers that I thought I still had, you know the kind, they require no A/C and sound awful, so we resorted to two sets of head phones in a dual jack.Â It works, but there is the problem of making sure the sound isn’t too loud/soft for both people listening. 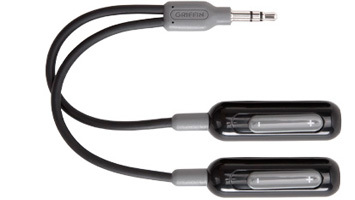 I ran across a solution today and thought I would share it (and bookmark it for myself in the blog).Â It is a Y-splitter that allows each user to control their own volume, made by Griffin Technology (who else, they make the best iPod “stuff”).